2 monumental events were not supposed to happen. The United Kingdom was never expected to vote to leave the European Union. Several days before the vote, a vibrant and popular politician supporting the remain campaign was murdered in cold blood but the will of the British people still voted leave. 5 months later, the controversial Donald Trump completed an unbelievable against the odds victory to claim the presidency of the United States despite a number of incidents that in any other political race would have been political death. Is their a prophetic parallel emerging that maybe you hadn't considered? Did Ezekiel see this coming? Yet others argue about his morality and view of women, his brash depiction and view on specific ethnic minorities, a purported unwillingness to denounce the Klu Klax Klan and a willingness to rewrite American foreign policy by possibly seeking friendship with Russia. However there is another perspective that needs mentioning. Is there any significance to the fact that both the United Kingdom and the United States made political decisions which somehow could rope mother (Britain) and daughter (America) back together in a much closer relationship then previous decades. Since the 1970s and the entry of the United Kingdom into the European Common Market the Anglo American alliance which was the bedrock of World War I and World War II, and which helped to facilitate the birth of Israel as a nation, had come under increasing changes as the tentacles of the European Union suffocated the ability for the UK to pursue its own historic trading relationship with the United States if you are a child of God you can protect yourself from the deceptions that will wreak havoc on this world over the coming years. 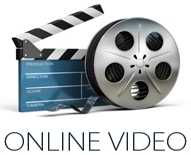 We will also provide you access to an online documentary featuring one of the best journalist around who meets political insiders and voters on both sides of the gaping political divide, and casts his eye on how the nation prepared for this historic election. 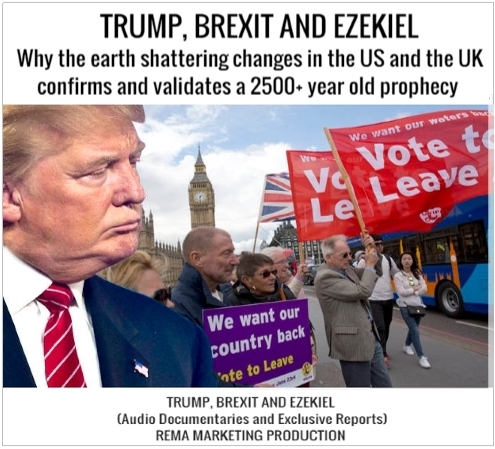 You will also get access to one of the most controversial videos looking at the election of Donald Trump from a prophetical perspective (different to our correlation with Ezekiel) that we have never ever considered or seen anyone write about. Watch this and it will seriously cause you to wonder whether the landslide victory was already a destiny that had to come to pass. Please note this video was published at least 30 days before the final day of the election and there is no way the researcher behind this video would have been able to use public opinion to make a judgement call.